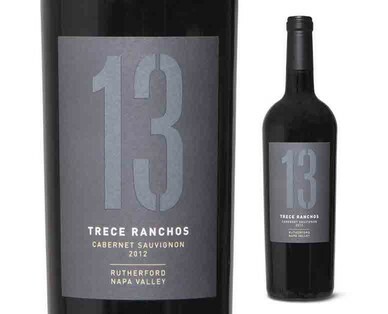 The name “Trece Ranchos” hearkens back to the 13 ranches that controlled Napa and the surrounding area prior to the Mexican-American War. One of the areas now called Rutherford has a distinct soil composed of gravel and volcanic deposits that infuse the wines with an enigmatic spicy element known as "Rutherford Dust.” Aromas of vanilla and spice are followed by ripe flavors of blackberry, currant and black cherry, with a bittersweet chocolate finish. Pairs well with braised short ribs, roasted rack of lamb and dishes with a dark, rich sauce.